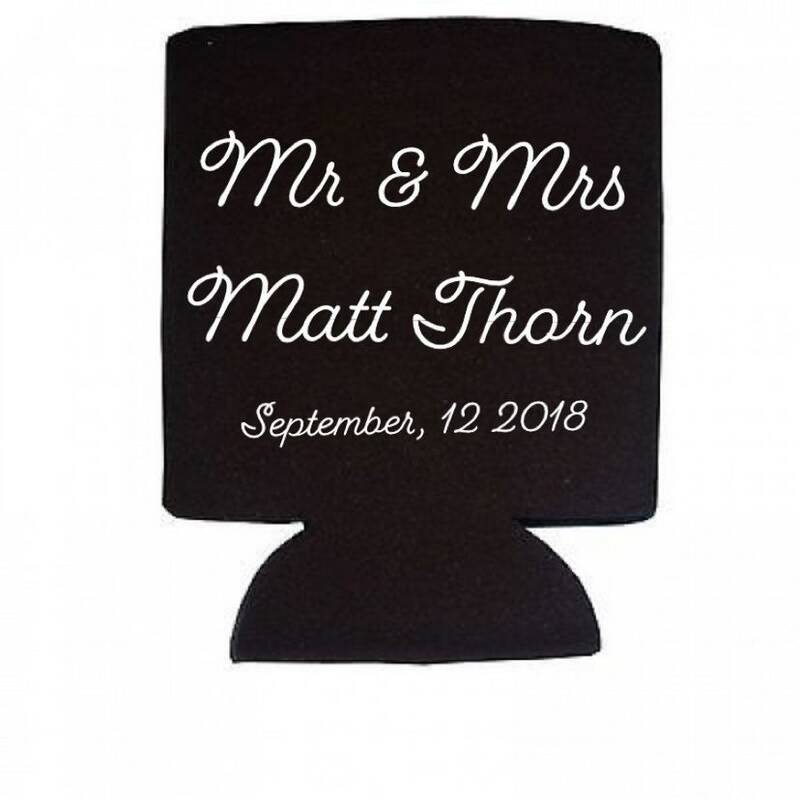 Have personalized with phrase or names and date, how ever you want them your the bride! Cozies are a great re usable favor your guests will keep using and using again. 1st choose your color, I’m sure if there is a specific color I can see about getting it for you. Large orders may take up to a week to ship. Just what I expected, thank you! Absolutely love the design and quality! I definitely recommend hand washing any mugs or cups personalized with vinyl. Almost all orders can be personalized if it can not the order will be posted as such. Ground is 3-5 days after order has shipped. You can chose faster shipping and can message for a hot rush I’ll let you know if I can make it happen!